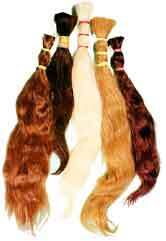 The are many hair and wig suppliers throughout the world who have great products but they are unbranded. Many of them will put you label there and you can make it your brand. We list Your browser does not support inline frames or is currently configured not to display inline frames. hair, hair piece and wig suppliers worldwide from 4 continents including north America, South America, Europe, Asia and regions such as Southeast Asia and the Middle East including the main hubs of distribution such as Canada, the USA, England, France, Germany, China, Japan, Russia, India and Israel, These manufacturers, distributors, wholesalers, Agents, Importers, Exporters, Designers, Trading Companies produce or make available hair and wigs in Your browser does not support inline frames or is currently configured not to display inline frames. Brands and countless unbranded products to each other (B2B sales) and to retail suppliers all across the globe.